Do you sleep on your stomach? If so, then you know that finding a comfortable mattress can be pretty tricky. You need a good combination of softness and support; otherwise, you are likely to develop discomfort in your neck and/or lower back. Firmness Level – Most stomach sleepers do best on a medium-firm mattress with a top that’s soft enough to prevent uncomfortable stomach compression, and a supportive layer that is firm enough to keep the spine properly aligned so that it does not sway forward or to either side. Your Body Type – If your body type leans toward the curvy end of things, then you’re likely to appreciate a softer mattress than someone who has a thinner, straighter body. Type of Mattress – There are quite a few different types of mattresses to choose from these days! Some foam mattresses or mattresses with foam tops offer a good combination of softness and support, and if you choose memory foam, you will probably enjoy the way it molds itself to your body’s unique shape. So long as the supportive layers are firm enough to keep your spine aligned, these mattresses are likely to suit your needs. Traditional innerspring mattresses without soft pillowtop layers tend to feel too firm to most stomach sleepers. One drawback of high-quality pillowtop innerspring mattresses is that they tend to be quite expensive. Hybrid mattresses combine features of both foam and innerspring mattresses, and many offer a pleasing combination of comfort and support. While hybrids were once cost-prohibitive, some manufacturers have developed new models that combine comfort, support, and affordability. Heat Retention – Some mattresses can be hot, but more and more models come with cooling components built in. If you live in a hot climate or tend to overheat while sleeping, you may benefit from a mattress made with components designed to help prevent excess heat buildup. Mattress Thickness – A mattress that is too thick might cause problems, unless it has a firm core that prevents your body from sinking. Of course, it’s important to take other factors such as your size and weight into account; heavier people and those with curvy shapes typically enjoy thicker mattresses. The good news is that many of the best mattresses for stomach sleepers come in different thicknesses, so you can choose the one that’s best-suited to your body size and type. Mattress Size – If you sleep by yourself, then any size mattress is likely to do. If you sleep with a partner, it’s likely that you’ll do best on a queen or king size mattress, as these give each of you plenty of room to stretch out. With these factors in mind, we’ve reviewed several models and carefully chosen a field of ten mattresses that stomach sleepers find comfortable. Each of the following reviews includes insight in the form of statements from others who share your preferred sleeping position. If you’re looking for a firm mattress under $1000, or if you are a larger person, you are quite likely to appreciate the Nectar Sleep memory foam mattress. It gets good reviews from a variety of sleepers including those who prefer back or side positions over stomach sleeping, and many couples report that they rest well despite having different preferences. The Casper Sleep mattress is made with memory foam and latex foam. The upper layer is a special open-cell foam designed to prevent overheating. The second layer is comprised of memory foam, and the base layer is firm and supportive. Casper Sleep mattresses come with a 100 night trial period and a 10-year warranty. If you’re a large or curvy stomach sleeper, you are likely to appreciate the cushioned upper layer as well as the supportive lower layer. 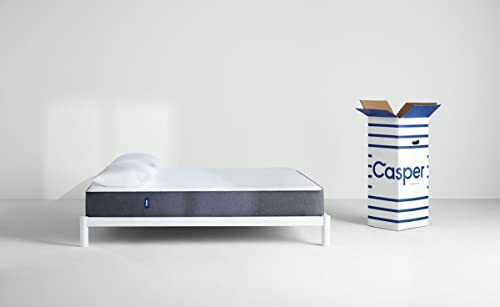 If you share your bed with someone who sleeps on his or her back, then both of you will probably like the way the Casper Sleep mattress feels. While this isn’t exactly the most budget-friendly choice, it comes with a generous trial period as well as a solid warranty; if it doesn’t feel good to you, you can send it back. 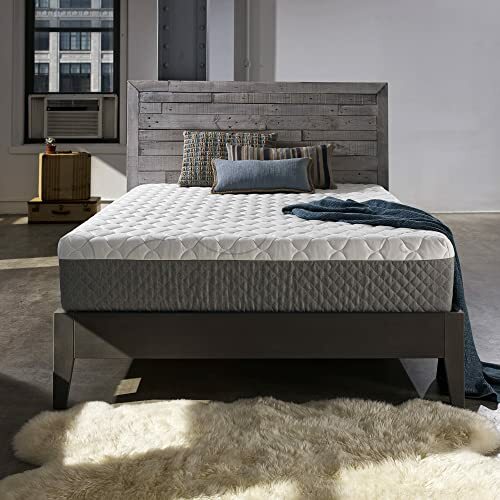 With a removable, washable zippered cover that wicks away moisture and makes for easy care, the GhostBed 11-inch cooling gel memory foam mattress offers three layers for outstanding comfort. 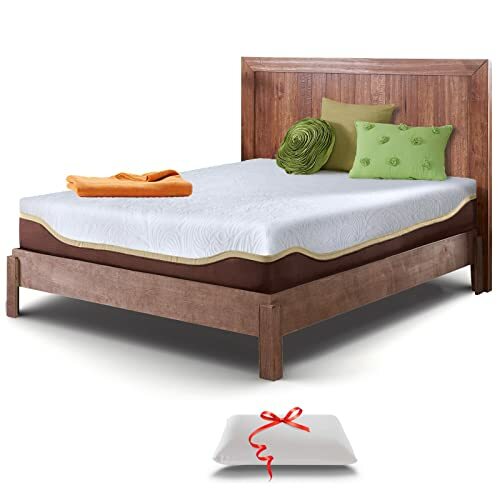 The top layer is 1.5 inches of continuous aerated latex; the second layer is made with 2 inches of 4lb cooling gel memory foam, and the base layer is made with 7.5 inches of extra-high density support foam. The GhostBed mattress is made in America. It comes with a 100-night trial and is backed by a 20-year warranty. If you prefer a firm mattress over a softer one, then you’re in for a treat with the GhostBed. Note that people who prefer softer mattresses tend to dislike this one – many side sleepers end up adding a topper or sending it back, so this might not be the best option if your sleeping companion rests on his or her side! Many who like the firmness level note that aches and pains subside, but they also mention that it takes some time to get used to sleeping on the GhostBed. Designed to offer medium-firm support, the Leesa mattress is made with a cooling 2-inch layer of Avena ™ polyurethane foam over a 2-inch layer of memory foam. 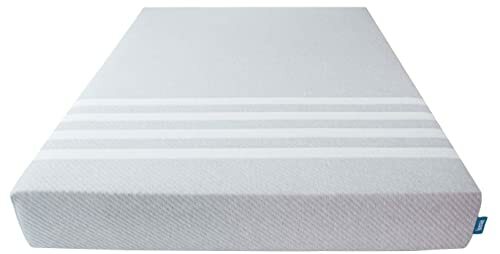 The mattress’s foundation layer is made with 6 inches of high-density support foam, and the cover features an attractive striped motif. Leesa mattresses are made in America, and are backed by a 10-year warranty. A 100-day trial period assures satisfaction. If you’re not on a tight budget and you share your bed with someone who sleeps on his or her side or back, you’ll probably like the compromise presented by the Leesa mattress. Many describe its feel as the “perfect combination between soft and firm.” Note that this mattress isn’t reversible: You can only sleep on the top side. Regular rotation is recommended, as the foam may compress over time without rotation. The Live and Sleep Resort Elite mattress is designed with the needs of different sleepers in mind, including stomach sleepers and people with back pain. Its upper layer consists of 2.5 inches of Prime Air-Flow infused visco foam. The second layer is gel-infused visco foam, and the base is made with high-density support foam. The fabric cover is removable and washable. If you are looking for a good mattress that comes in at under the $500 mark, and you’re a stomach sleeper in search of a firm bed, then this might very well be the best mattress for you. Other types of sleepers mention that they appreciate its supportive nature too, although some side sleepers mention that it is too firm, and heavier people mention that it feels too soft. This mattress doesn’t have a long trial period like some others, so you don’t have 100 days to decide if you like it. On the other hand, it is backed by a good warranty, and most reviews are positive. 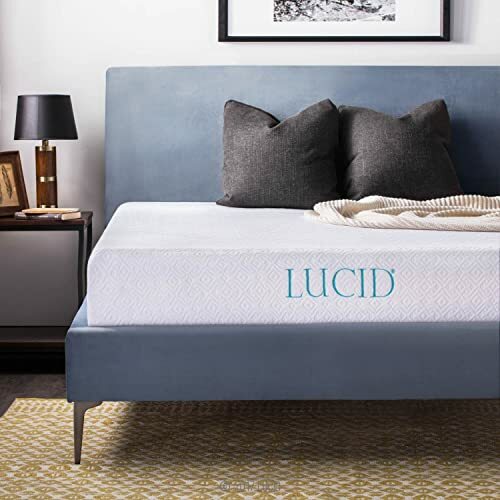 Made with 2.5 inches of gel-infused, ventilated memory foam that is designed to prevent heat retention, the Lucid 10-inch gel memory foam mattress offers a good level of support via its 7.5-inch base of high-density foam. The TENCEL blend fabric cover is designed to control moisture and help keep you cool and comfortable while you sleep. This mattress is backed by a 25-year warranty. Small to average size stomach sleepers tend to find this mattress feels perfectly firm, while larger people (over 250 pounds) mention that they tend to sink in too far. At well below the $500 mark, the Lucid 10-inch Gel Memory Foam Mattress is also a great choice for people who have a strict budget. 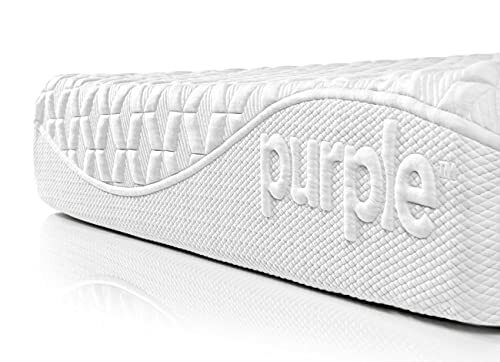 The Purple mattress is designed differently than many other “bed in a box” mattresses. Its Smart Comfort Grid ™ is designed to relive pressure, isolate motion, and prevent overheating. Beneath the grid, responsive support coils are sandwiched between two layers of supportive foam. Plexus side panels provide additional support. A wide variety of people love sleeping on the Purple mattress. 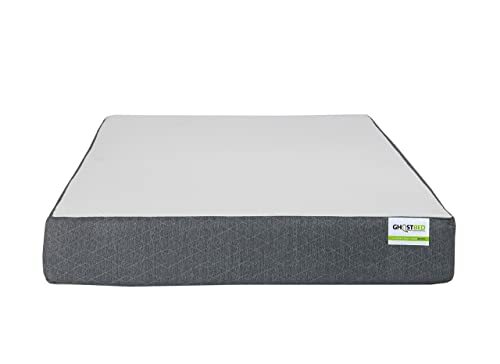 While the price is higher than many other brands, it is a good, supportive choice for side and back sleepers as well as stomach sleepers, and the trial period provides protection in case you or your sleeping partner is one of the few who dislike the way the mattress feels. This mattress also gets high marks for its cool feel, making it a good choice for people who tend to overheat while sleeping. 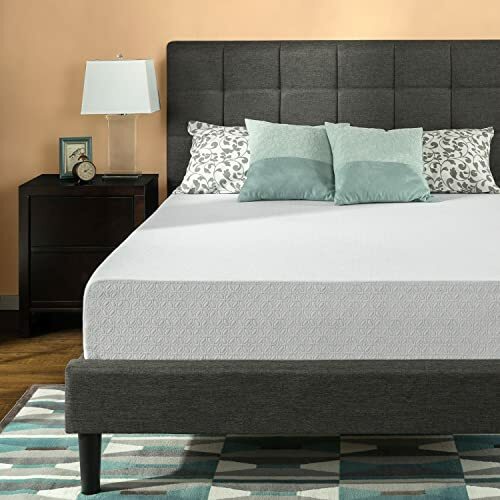 Designed to support average to bigger body sizes as well as those who toss and turn, the Sleep Innovations Taylor 12-inch Gel Memory Foam Mattress offers a medium-firm feel. Its top layer is made with Cool Plush 2-inch cooling gel memory foam, while the middle layer is Breezy 2-inch air-channel foam. The base layer is made with Ultra-Support 8-inch foam. This mattress was created with different sleep positions – including stomach sleeping – in mind, as well as for those who prefer to feel cooler when sleeping. It is made in America and comes with a 20-year limited warranty. If you’re looking for a firm mattress under $500, or if you are a larger person, you are quite likely to appreciate the Sleep Innovations Taylor mattress. It gets good reviews from a variety of sleepers including those who prefer back or side positions over stomach sleeping, and many couples report that they rest well despite having different preferences. The Tuft & Needle mattress is made with an upper layer of T&N Adaptive ® foam, which contains cooling gel and graphite, and which offers a combination of softness and support. The mattress’s support layer is high-density poly-foam, and is seven inches thick. The cover is made with a combination of fast-drying micro polyamide and polyester. The Tuft & Needle mattress comes with a 100-day trial period and a 10-year warranty. If your budget is between $500 and $700, and if you are looking for a nice, firm mattress that pleases a variety of people, then you are likely to enjoy resting on the Tuft & Needle mattress. Among the best-rated mattresses available online, it has mostly positive reviews. The robust warranty and extensive test period make this a risk-free investment in one of the best mattresses for stomach sleepers. The Zinus Gel-Infused Green Tea Memory Foam Mattress offers firm support. Made with 2 inches of gel-infused memory foam layered over 3 inches of comfort foam and 3.5 inches of air-flow high-density foam. The base layer is made with 3.5 inches of high density air-flow support foam, and the cover is crafted of comfortable knit jacquard. This mattress is infused with green tea extract and castor seed oil, which help repel bacteria that contribute to unpleasant odors. If you’re someone who prefers a firm sleeping surface and your budget is between $200 and $300, then you’ll probably find that the Zinus memory foam mattress is a good match for you. The unique botanical infused gel may even help you keep your mattress cleaner! Is there a trial period? Are you able to spend some time sleeping on your new mattress once it arrives, and then make a decision about whether to keep it or not? Many of the best mattresses for stomach sleepers come with trial periods. If you aren’t comfortable with the one you’ve chosen, you can simply send it back. What about a warranty? Does the mattress of your choice come with a warranty? This might not seem important if you’re not spending much money; the more you spend, though, the more this consideration matters. Just like other products, mattresses can contain manufacturing defects, and you want to be protected in the event your choice is one of them. Is the cover removable? You want the best mattress for stomach sleepers, but that doesn’t mean other factors aren’t important. A removable, washable cover can help keep your bed fresh. Don’t worry too much if the mattress of your choice doesn’t have a cover like this; you can always use a mattress protector. Do I sleep with someone else? If you share your bed with another person, then it’s important to choose a mattress that suits both of you well. It’s a very good idea to go with a mattress that includes a trial period so that you can return it if it’s not a good match. After all, there is no such thing as the “best” mattress for all stomach sleepers – particularly when the needs of another individual must be met. One final consideration for getting better rest as a stomach sleeper is this: Pillows matter, too, and they can make quite a difference. According to the University of Rochester Medical Center, a stomach sleeper is often more comfortable with flat pillows tucked under the pelvis for additional spine support. People who sleep on their stomachs need flat pillows for their heads, and depending on body type as well as other factors, may even do best without a head pillow. Whichever pillows you choose, be sure to keep your spine aligned. Since stomach sleepers have such specialized needs, it is more important than ever to take plenty of time to decide which mattress is best. We wish you success in your quest to find the most comfortable bed for your needs!